Debbie and I share a passion for the music of Tom Waits. His willingness to orchestrate seemingly disparate ideas into songs that ultimately reveal emotional resonance is very reassuring during these challenging times. 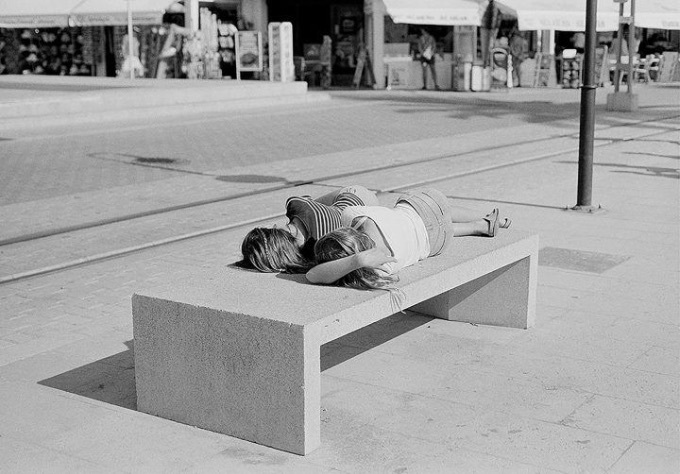 What seemingly discordant ideas are you noticing? How might you introduce them? Power becomes dangerous exactly where the public ends. 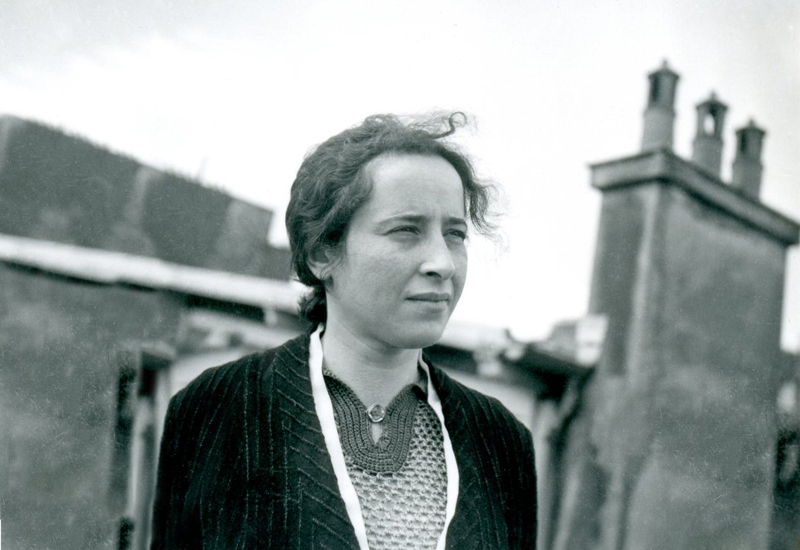 “When Hannah Arendt was herded into Gurs, a detention camp in south-west France in May 1940, she did one of the most sensible things you can do when you are trapped in a real-life nightmare: she read – Proust’s Remembrance of Things Past, Clausewitz’s On War and, compulsively, the detective stories of Georges Simenon. Today people are reading Arendt to understand our own grimly bewildering predicament. 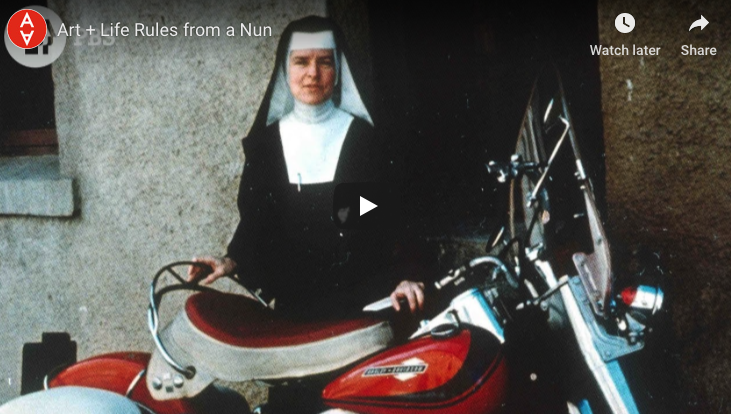 I’ve mentioned Sister Corita Kent before, Art department rules that work for any department. Last month PBS digital studios celebrated her brilliance and contribution in an inspiring short. Required viewing for any artist, leader, teacher, student, visionary or, as the film’s host says, “anyone with a pulse”. A powerful driver of employee loyalty: “We want them to be who they are”. Patagonia, the Ventura, California, based outdoor clothing brand is on many a ”Best Employer” list, and has a superb reputation for retaining employees over the long run. And one particularly quirky policy symbolizes the company’s appeal. “The company hires activist employees and encourages peaceful environmental protests. 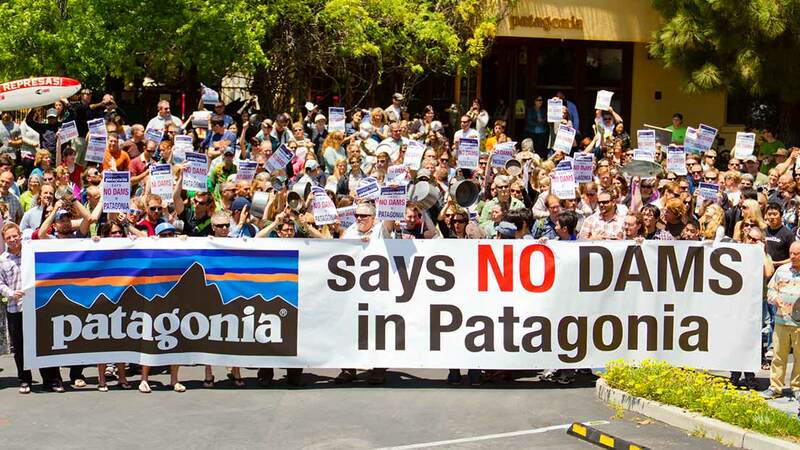 But for those wayward employees that get thrown in jail for their efforts, Patagonia will pay their bail (and their spouse’s bail), pay for their legal fees, and pay them for their corresponding time away from work. Coaching is the leadership practice that makes the collaborative leadership style work. In their book The Extraordinary Coach: How the Best Leaders Help Others Grow, Jack Zenger and Kathleen Stinnett make a good case that in spite of sea changes in society, remarkably little has changed when it comes to the basics of management. Most leaders tend to gravitate to an area on a continuum between laissez-faire, autocratic, and collaborative, usually without much thought or intention. They also make the case that the future belongs to collaborators, and that the best way to lead a collaborative work place is to replace twentieth century management techniques with the newer practices of coaching. Every Sunday the first article I read in the Sunday NY Times is the recipes column in the magazine. And I don’t cook. But I really like to see how someone else created new magic from an old tradition, or from a memory. Similarly I love reading time management and personal productivity books. I’m not necessarily going to follow their recipes, but I sure do like to see how others address the perennial challenges of being creative in a world whose gravitational pull seems to sand-blast inventiveness. A retreat for learning. Get clear on your promise of how you help. This year Robyn Coady and I are presenting the public DIY Brand Camp twice in the Valley, once in the spring, and once in the fall. The spring session is being produced by the Conway Institute, a post-grad continuing ed start-up of the Conway School, where I serve as a trustee. Conway students and alumni get a great discount, and I am donating all proceeds to the school. Because Conway’s pedagogy for teaching sustainable landscape planning is so holistic, Conway alums and affiliates tend to be really interesting people. I am really looking forward to convening this particular learning cohort. Creative visionaries of all types are invited. In this intense but totally fun day we’ll show you how to understand your or your organization’s story, how to express it so that it is meaningful to all of your audiences, and how to use this understanding as a tool for strategic development. 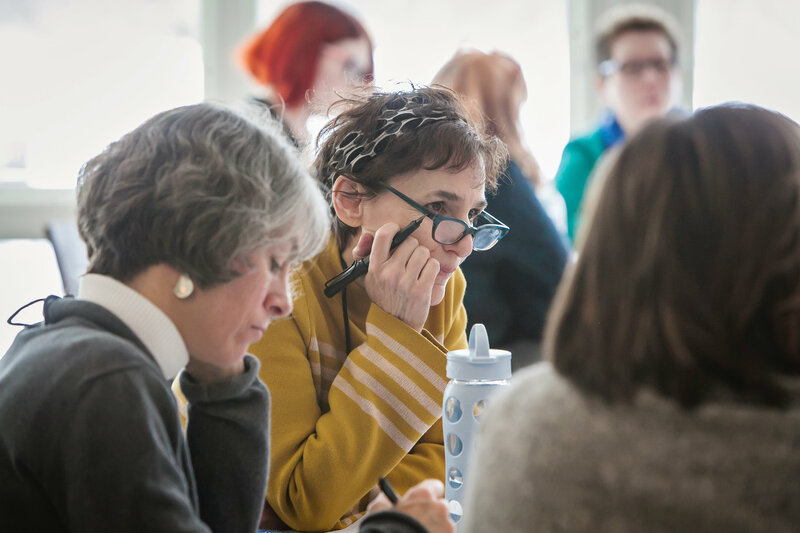 This unique learning cohort is gathering on May 1, 2019, at the Smith College Conference Center in Northampton, MA. Join us. Tell a friend. A beautiful tv spot interviews a refugee, two immigrants, and an expat. 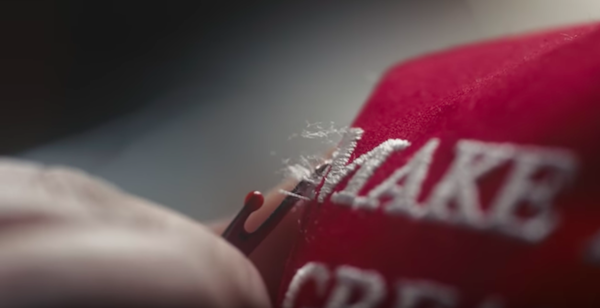 Each explains why they felt they needed to leave their home country, and each describes being turned away by the U.S. Their poignant stories are counterbalanced with close-ups of a seam ripper being used to tease the embroidery thread that makes the words “Make America Great Again” out of a red ball cap. The same thread is then embroidered into a knit cap, this time displaying the words “Welcome to Canada”. Lovely. Pitchfork describes Faye Webster as an artist who “makes R&B for homebodies.” That’s a pretty close approximation for somebody who can’t be pigeonholed. Her music is soulful, for sure, and intimate and personal, so yeah, let’s use it. But like other iconoclastic artists, Tom Waits (again) and Cat Powers come to mind, she is like no one else. She creates her own category of one. How many artists do you know who could pull off an entire concert accompanied only by a pedal steel guitar? She represents wry wit meets soul meets quiet sincerity. And she is a really solid guitar player. Rhythm is her friend. Start here. Anybody who has the nerve to cover Johnny Cash and then pull it off is worth listening to. 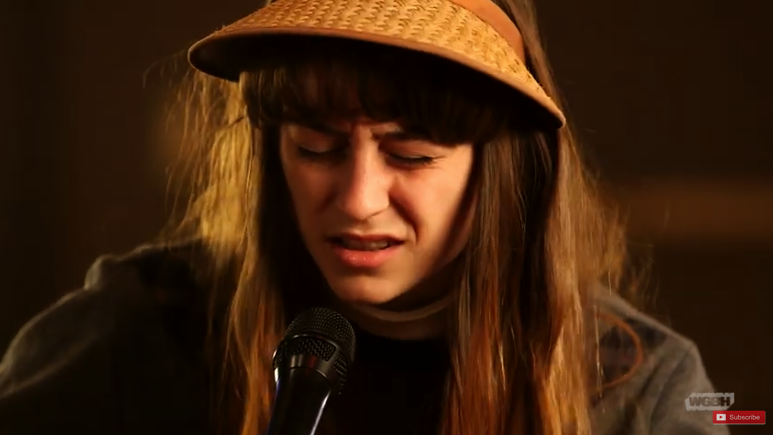 Then check out this live in studio set she recorded last month at our own WGBH. Once again her sole accompanist is a steel guitar player. 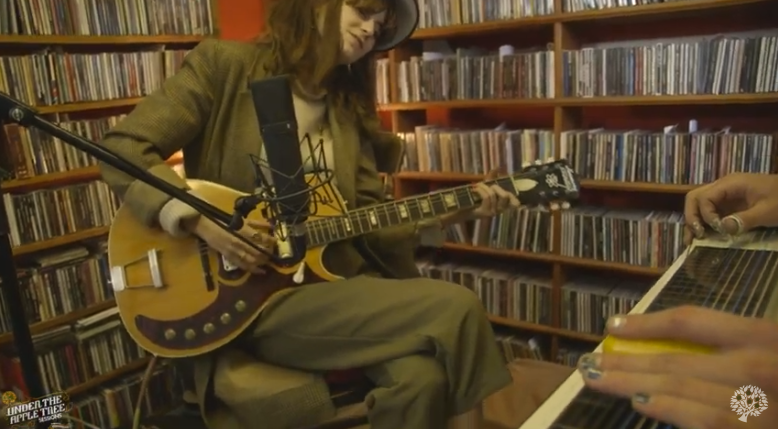 Finally, in support of her latest album, Atlanta Millionaires Club (her third full-length, expected next month) she’s just released this theatrical presentation of her song Room Temperature. Her dry humor is showcased with a plaintive chorus that states plainly that “I should get out more”. To make the point, she contrasts this deer-in-the-headlights notice with loud and colorful June Taylor-like choreography. The result is hilariously funny and deliciously poignant at once. Don’t you just love art?